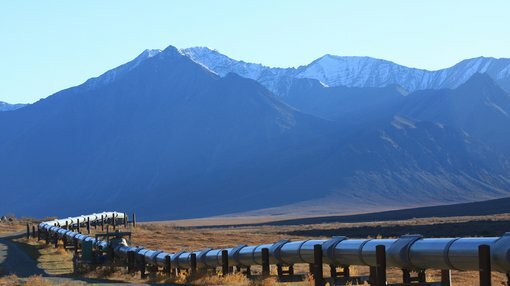 88 Energy Limited (ASX:88E) this week updated the market with news that it has expanded its acreage at projects located onshore North Slope of Alaska. In November 2014, 88E entered into a binding agreement with Burgundy Xploration (BEX) to acquire a significant working interest (87.5%, reducing to 77.5% on spud of the first well on the project) in Project Icewine. The project has a large acreage position on a multiple objective, liquids rich exploration opportunity onshore Alaska. The current gross acreage position is 458,097 contiguous acres (286,589 acres net to 88E). The project is located on an all year operational access road with both conventional and unconventional oil potential. The HRZ liquids-rich resource play was successfully evaluated based on core obtained in the Icewine #1 exploration well that was completed in December 2015, marking the completion of Phase I of Project Icewine. Phase II has now commenced, with drilling at the follow-up appraisal well, Icewine#2, commencing in the second quarter of 2017. The company has now expanded its acreage, having been announced as the highest bidder on two parcels of acreage totalling 32,800 gross acres. It’s worth noting that this is a speculative stock and investors should seek professional financial advice if considering this company for their portfolio. On 6th December, 88E, via its subsidiary companies, Accumulate Energy Alaska Inc and Regenerate Alaska Inc, was announced as the high bidder on two parcels totalling 32,800 gross acres of the North Slope Areawide 2017W lease sale. The two parcels are subject to regulatory approvals and formal award, which is expected in 2018. 88E’s JV partner, Burgundy Xploration LLC, has a right to back in to ~2,590 acres contained within Parcel 1, adjacent and to the west of the existing Project Icewine leases.